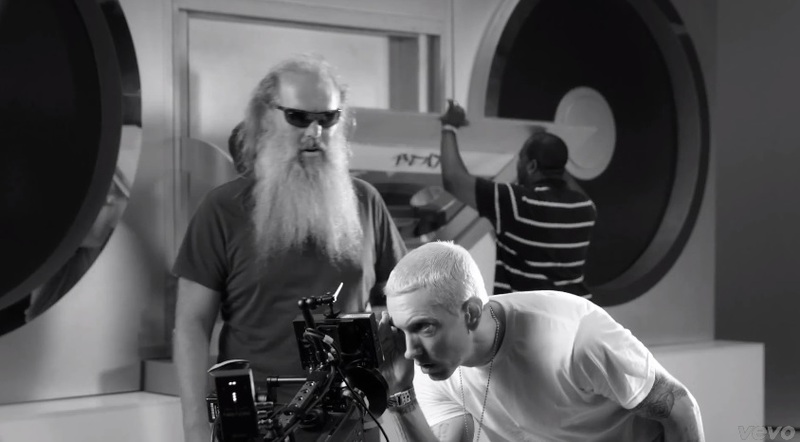 Go behind the lens and see how Eminem and Rick Rubin came together to put together his new single and video for “Berzerk.” Rubin opens up to the camera and shares details about the song’s production and the creative energy in the studio while working with rapper Eminem. Though the Detroit native never takes the opportunity to address the camera, Rubin breaks it all down nicely and touches on Eminem as an artist before heading out. This entry was posted in Miscallenous, Video and tagged behind the scenes, berzerk, eminem, hip hop, Music Video, rap, rick rubin. Bookmark the permalink.